Sam Stabler and Charlie Hulson will face each other for a second time this year when they go-head-to-head on Sunday (April 15) at the BM10k, as part of the Brighton Marathon weekend. 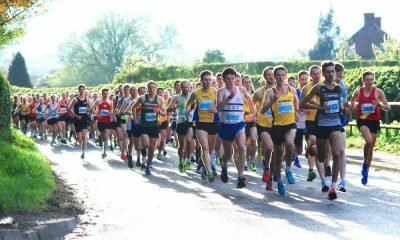 The duo finished one and two at the Armagh 5k in February, with Stabler getting the better of the Welshman down the home straight for a one-second win. 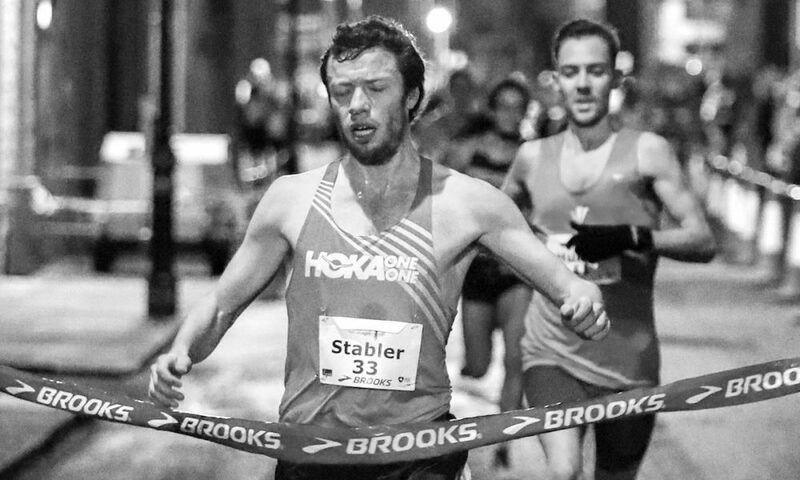 Stabler led home an astonishing 94 men under 15 minutes that night, crossing the line in 13:59 in what was his first road 5k. The Wreake & Soar Valley runner has been in good form this year, finishing second at the Inter-Counties Cross Country Championships, and most recently ran a 10k road PB 29:09 at the 10km Parelloop in Holland. 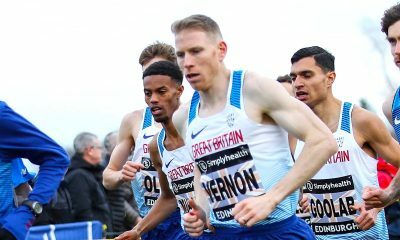 Likewise, Hulson, along with his 14:00 PB in Armagh, has put in a number of notable performance in recent months, including three wins over the 10k distance in Chester, Cardiff and Telford, taking 18 seconds off his best when he posted 29:12 in the latter. Ahead of the race, Stabler, who has had more than his fair share of injuries to deal with, told Fast Running: “Training has been going very well and my best ever block of training finished on Sunday. “It was 17 days with an average of 83 miles over seven days and I hit or surpassed all of my workout targets. My previous highest since November was 73 for 7 days. I am looking forward to racing in Brighton and there is a pacemaker to 3km so that is quite exciting. Also joining them in the men’s race is Scott Overall, who has the quickest PB with 28:49 from 2012 and Brighton local Robbie Fitzgibbon. 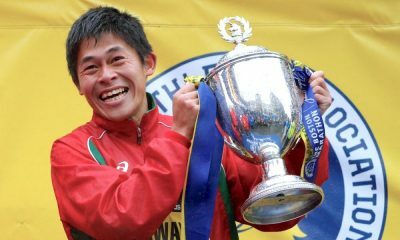 While 2:10 marathoner Overall has the quickest recorded time over the distance, a few weeks ago in Cardiff, the Olympian finished 36 seconds behind Hulson. The women’s race should be equally as exciting, with Kate Avery and Charlotte Arter among those expected on the start-line. 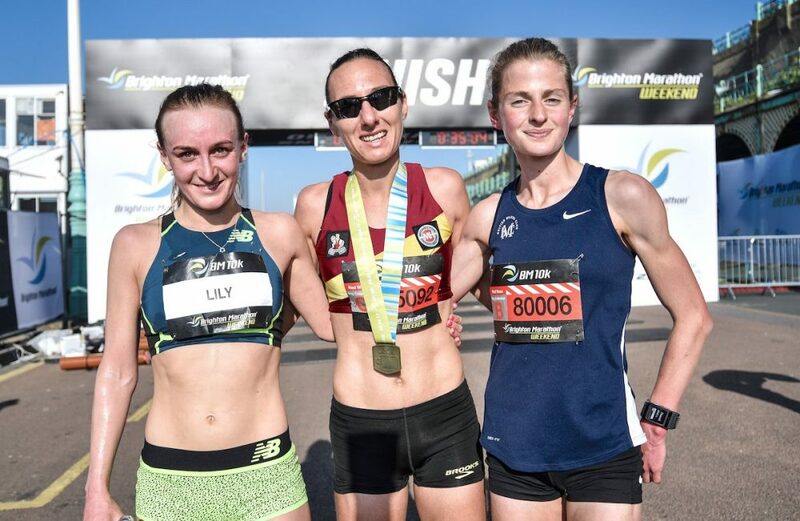 Avery, a two-time European cross country silver medalist, has been working her way back to full race fitness in recent months and has put in a number of encouraging performances, including a 9:26 run at the Armagh 3k, and most recently clocking 15:52 at last month’s Podium 5K. Sunday will be the 26-year-old’s first time racing the distance this year, but with a 33:05 best, she definitely want to run a fast time. On the other end of distances, Cardiff AAC’s Arter, who has a 10k best of 33:03, has been impressing over the half marathon this year. The 26-year-old ran a personal best 71:31 at the Big Half, before competing at the World Half Marathon Championships, where she finished 31st in 71:52. Also aiming to have their say in proceedings will be Phoebe Law and Charlene Thomas. Kingston & Poly’s Law finished third in last year’s race, but after her cross country performances in recent months, that included a hat-trick of domestic wins in the Inter-Counties, the Nationals and the South of England Championships, as well as 10th in the U23 Europeans, the 21-year-old has every chance of moving further up the podium. 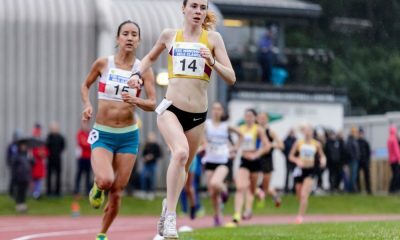 Wakefield District’s Thomas is a world class 4:03 1500m runner and her endurance potential is relatively untapped, but does have a best 33:32 from 2016 and won the Dewsbury 10K by almost a minute in February, so will certainly be amongst the mix too. The BM10k starts at 9am at Withdean Stadium, with the elite marathon following at 9:45am.